Click the title above to take you to Ravelry where you can download. Next you need to create the road markings. Thread white onto your wool needle and secure the wool to back of blanket near centre. 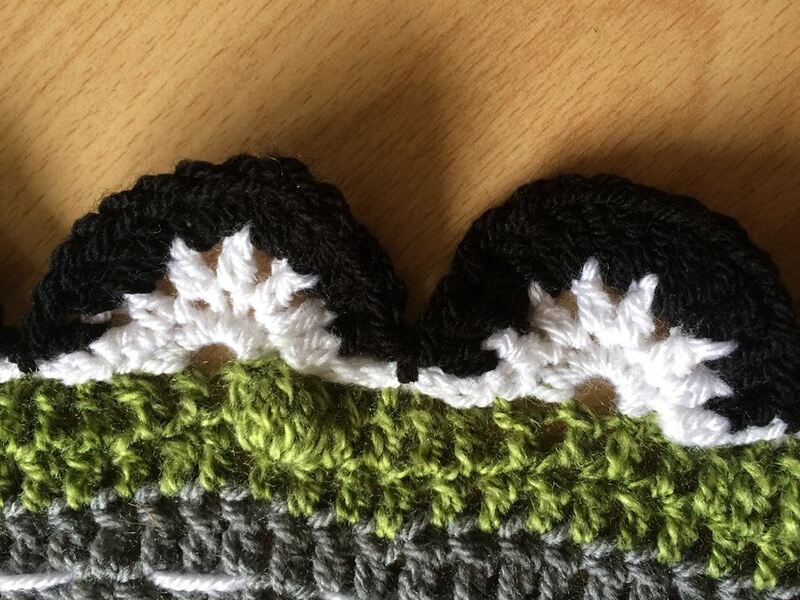 I wanted middle to look like a roundabout so I started a few rows out. Slowly work up the centre of the 2 grey rounds going up and down. I went over 3 and under for 1. 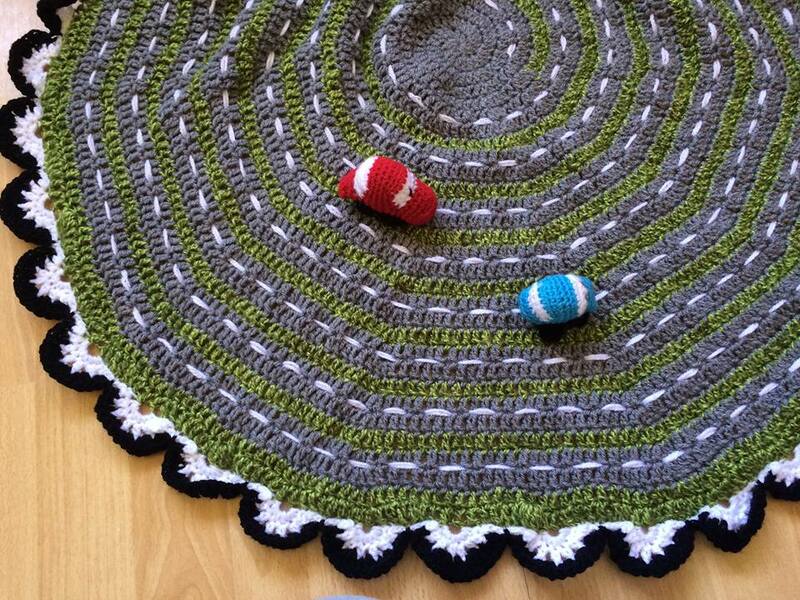 You can then use this blog post and pattern to create tiny crochet cars that fit perfectly! The edge is meant to look like half wheels but it looks just as good without anything. Boys don’t have to wear blue! Don’t have any small children anymore but will share this with a group or two. This is creative and original. Wish I would have thought of something like this when my boys were young. 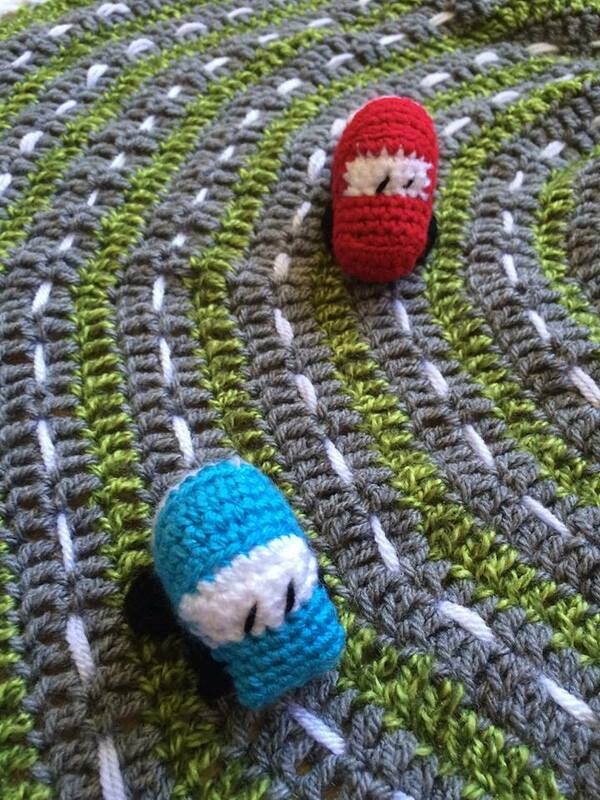 It even has a link for crochet cars!